Let's take a look at each of these projects and try to answer some of the questions readers have had in the comments of last year's edition, including which are still in active development, provide hosting options, offer a mobile solution, and more. 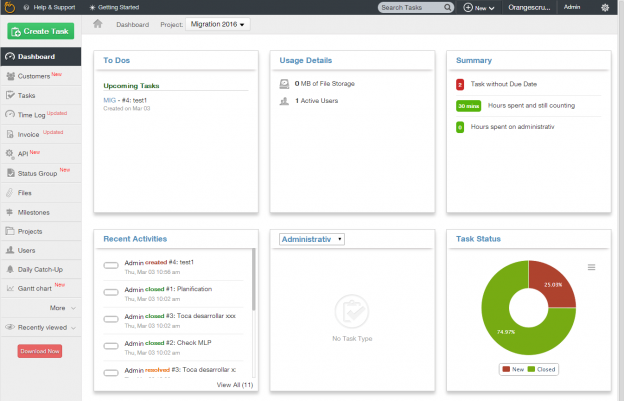 MyCollab is a multi-purpose solution which features tools for customer relationship management, document management, and project management. In this case, let's look at MyCollab-Project. 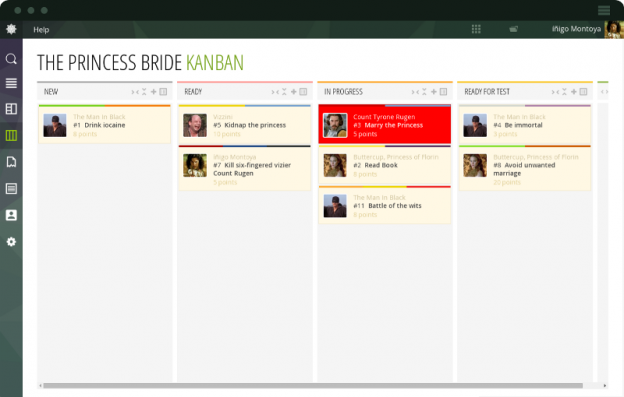 Odoo is a full suite of business applications, of which project management is just one. Odoo is a multiplatform solution, supporting Windows, several Linux distributions, and other operating systems as well. 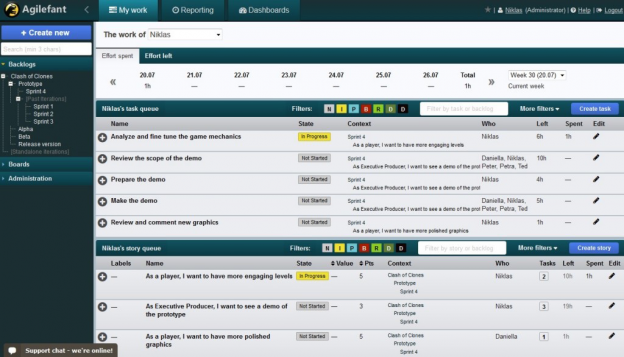 The community edition is, of course, free and open source, but limited in features compared to the enterprise version. 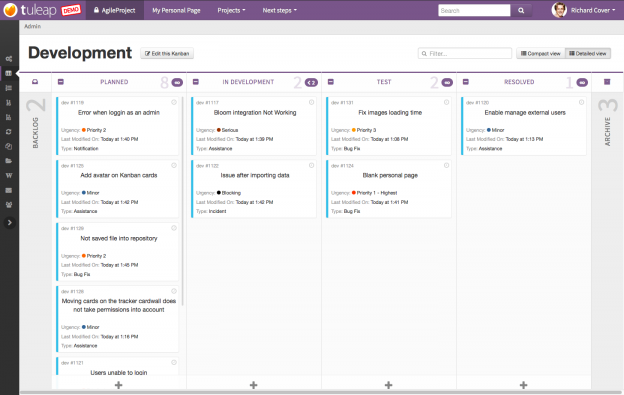 Odoo project management has some interesting features, such as Gantt charts, a Kanban view, tasks and issues, graphs, and more. Notable assets are the community resources, and its official Docker image. 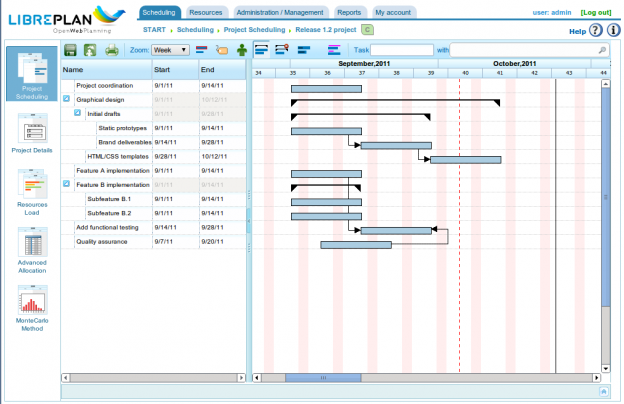 With a focus on software development projects, Tuleap provides a feature rich platform which includes project management features like Scrum and Kanban support, tracking, document management, and other collaborative tools. 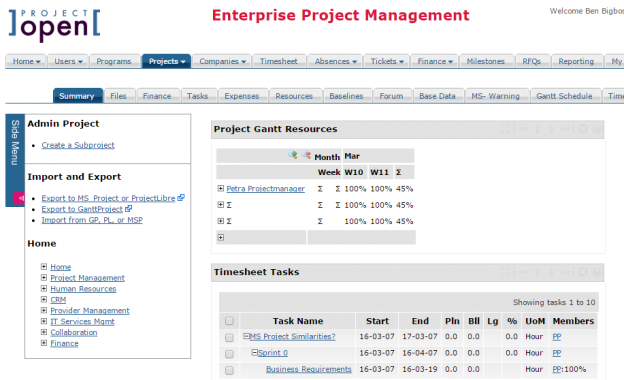 project-open is an enterprise project management tool with many features, including support for agile methods. The software is released under a mixed source model, or a "dual license," meaning that at its core it is open source (GPL), with additional modules released under a commercial license. project-open runs as client software on both Windows and Linux, depending on a stack of open source packages. po is currently working on version 5.0, which includes a Gantt editor, a portfolio Pplanner and several charts rendered in HTML5.